As a pet owner, summer can be one of the best times. After all, this is the time of the year when walks can become that little bit longer – while you can stay out until the later hours before night falls. At the same time, it can also be a dangerous period. 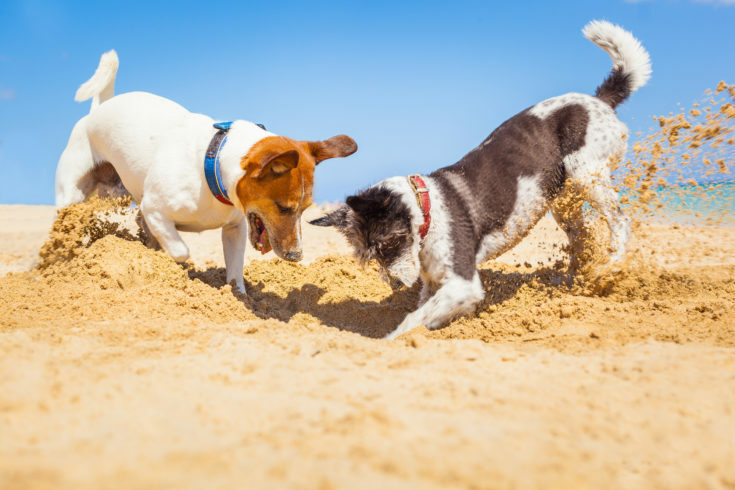 Particularly if your area experiences a heatwave, or if high temperatures are just normal for that matter, it can be highly dangerous for your canine friend. A lot of the time, you will be able to tell exactly when things have got too hot to handle through obvious symptoms. This might be their desire to find shade, or even the condition of their poop (see this guide from Scrumbles for more on this). However, to help you along your way we have penned today’s guide. Let’s now take a look at some things you can do to make sure that your dog is safe as can be for the summer months. Please, if you aren’t going to take in any other advice today, make sure you read this first point. Hot cars are like ovens for dogs – and it doesn’t matter whether your vehicle is parked in the shade or not. If it is, it can still reach 90 degrees. If it’s not, this temperature can almost double. We don’t need to go into the details of what can happen to your pet under these circumstances, it has been documented in the news on plenty of occasions. Instead, just don’t do it. If we move away briefly from the heat factor, let’s talk about something else that your dog is much more at risk from in summer. The likes of heartworm and Lyme disease suddenly become a lot more common at this time of the year, and parasites like this can have grave consequences. Furthermore, as your walks are likely to be a little longer and potentially further afield, fleas and ticks can also be an issue. Fortunately, you don’t always have to avoid the outdoors and treating your dog with preventative medication can ensure they are protected. It might sound ridiculous, but trust us, dogs do get sunburn. Of course, it should go without saying that those breeds which have shorter coats are much more likely to succumb to this, but you should still stay on your guard. Furthermore, this sunburn can lead to the same health problems that humans can encounter, such as skin cancer. There can be help at hand in the form of special sunscreen for dogs, and we would urge you to speak to your veterinarian if you think your pet could be at risk, whether it is due to their coat or the high temperatures (or both). Obesity is on the rise within dogs if studies are to be believed. Summer is one period which can accelerate this, for the simple reason that they tend to have stored a lot of weight over a cold winter. Again, there can be an easy solution though. With improved weather, just make sure they get out and about sufficiently.